Oskar & Klaus toys use whimsey -- and catnip -- to give cats reason to dance with joy. Show off your cool cat’s taste in music with an Oskar & Klaus Catnip Cassette. 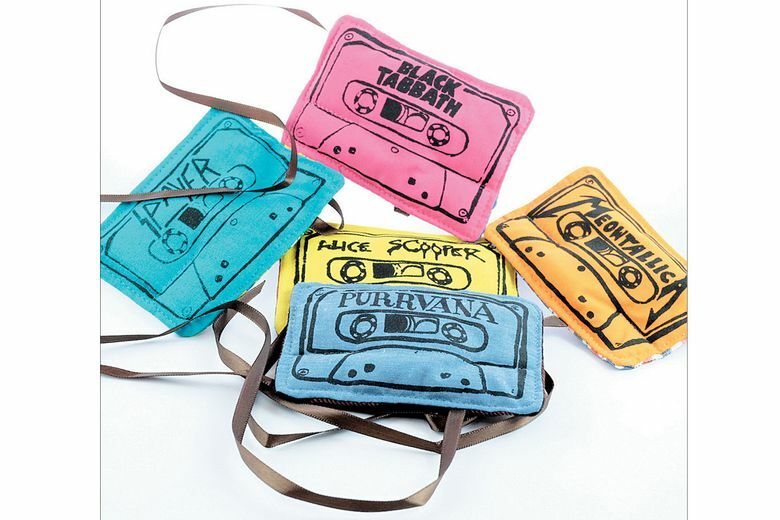 The Seattle company’s soft toy is the same size as a standard cassette tape, and features bands such as Meowtallica, Purrvana, Black Tabbath, Alice Scooper and Spayer. A fabric “tape” loop is sewn onto the side for playful pawing. Each cassette is hand-stuffed with organic catnip and polyfiller and printed with non-toxic ink.